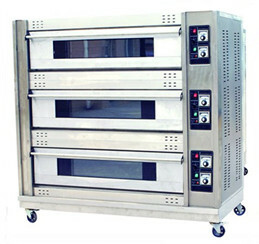 Electric deck oven is used for baking all kinds of high-grade bread, cake, pastry, etc. 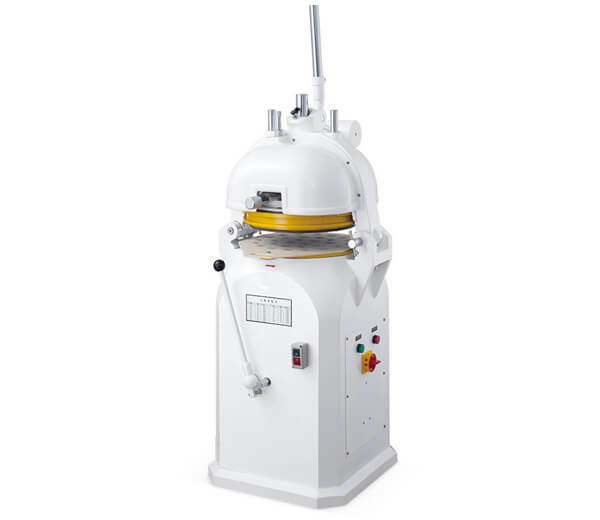 It adopts far infrared metal heating tube, fast heating and energy-saving. 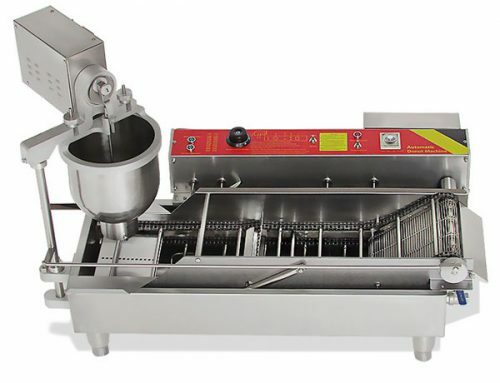 Set with timing, automatic temperature control, and manual temperature control functions which are easy to operate and ensure reliable performance. 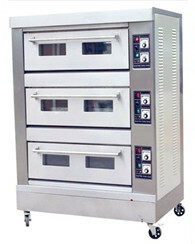 ♦ Adopt far infrared metal heating tube, fast heating, uniform temperature and energy-saving. 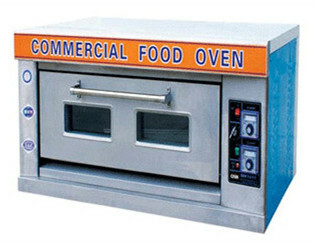 ♦ Adopt automatic temperature controller, the oven temperature can be adjusted freely between 20°C-300°C. 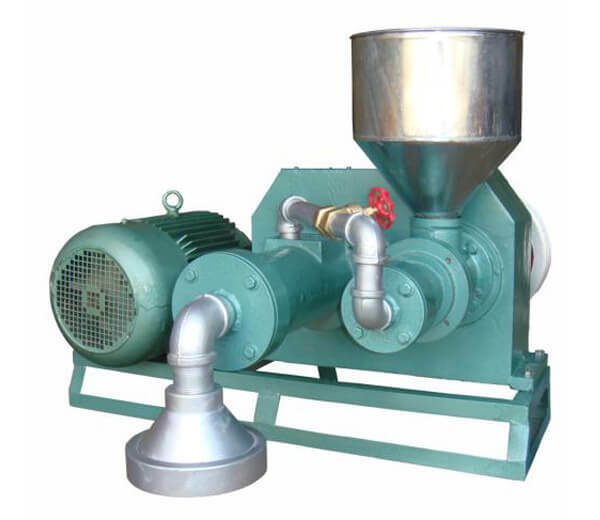 ♦ Equipped with overheating protection device, the power is cut off at excessive temperatures, safe and reliable. 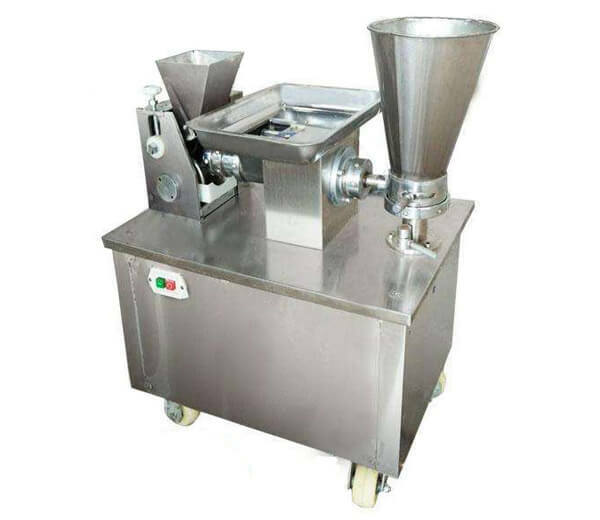 ♦ Dual structure of bracket and bottom plate greatly increase the using scope. 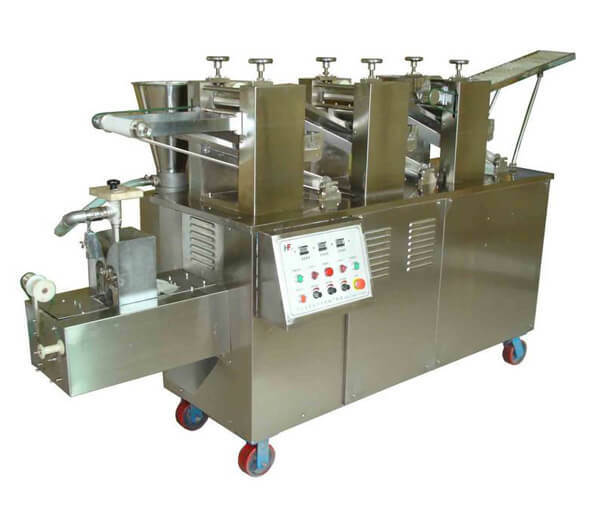 ♦ Spring type semi-automatic door, humanization and durable. 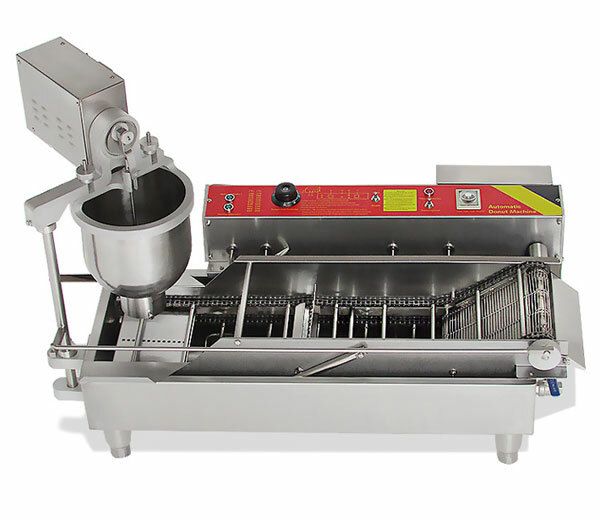 ♦ Stainless steel design ensures durability and easycleaning. 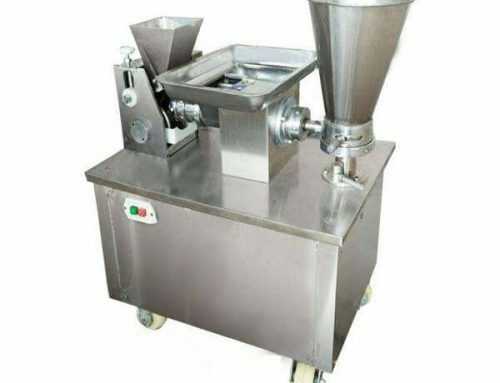 ♦ High efficiency, convenient operation & maintenance. 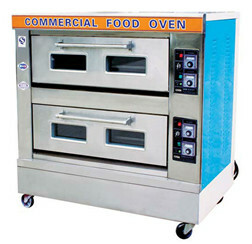 Commercial food oven is mainly used for baking bread, cakes, cookies, pastry, etc. 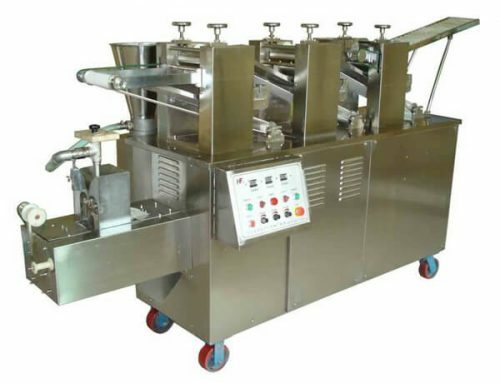 It is the ideal equipment for small and medium-sized cake factory, cake shop, school’ canteen, food factory, individual food processing house, etc. 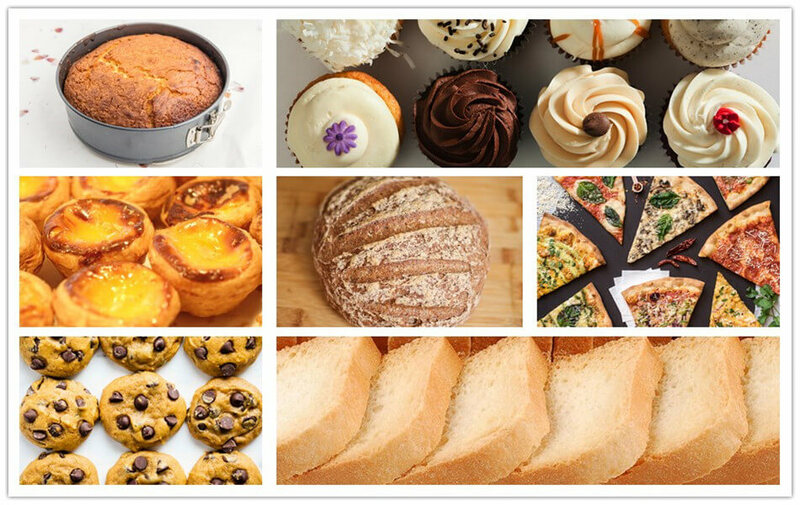 * Thoroughly clean the furnace weekly after the oven becomes cool. 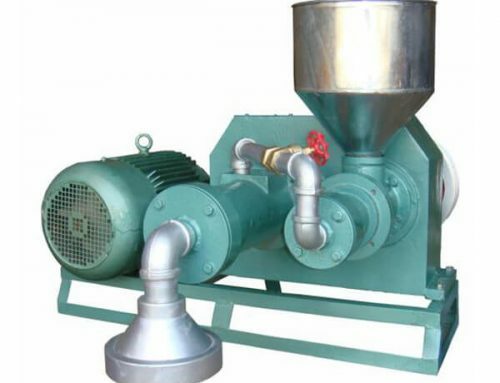 * Check the performance of the electric parts regularly to guarantee normal operation. 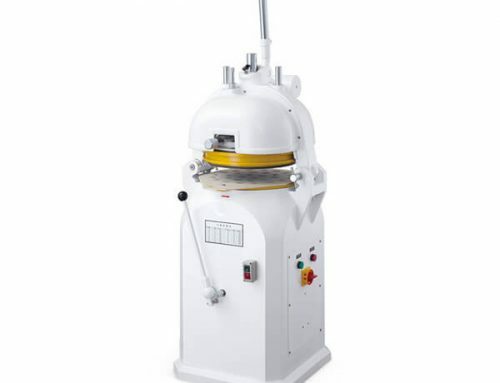 * Adjust the machine to match with the origin level so as not to affect the baking quality.